On Saturday #319 we indulged ourselves with a sunrise walk and chocolate donuts. We felt awesome after getting some exercise first thing in the morning and then having some chocolate! 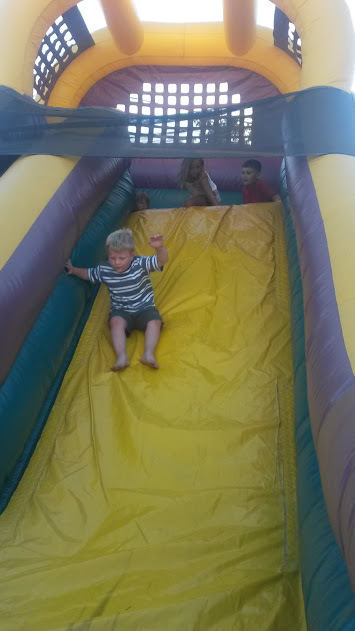 My son was excited about an event happening in our town, there were bounce houses involved, so I understood. They both bounced their hearts out and felt that the day was a major success! We really, literally did nothing other than a walk, eat donuts and go to the bounce houses. We were okay with that as a family because we had taken a trip to the Hocking Hills and didn't make it home until late the day before. I hope that your family had a great weekend and you made memories!